Giant kelp (Macrocystis) is a remarkable plant, the largest seaweed and most rapidly growing and prolific of all plants found on earth. 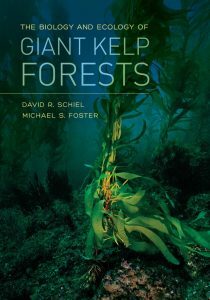 Growing from the sea floor and extending along the sea surface in lush canopies, giant kelp provides an extensive vertical habitat in a largely two-dimensional seascape. It is the foundation for one of the most species-rich, productive, and widely distributed ecological communities. Schiel and Fosters scholarly review and synthesis take the reader from the early observations by Darwin to the present day, providing a historical perspective for the modern understanding of giant kelp evolution, biogeography, biology, and physiology. This perspective is integrated into a thorough discussion of the species and forest ecology worldwide, with considerations of human uses and abuses, management and conservation, and the present effects of global change and likely future impacts. Mangroves and seagrasses form extensive and highly productive ecosystems that are both biologically diverse and economically valuable. 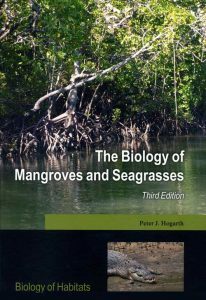 This book, now in its third edition and fully updated throughout, continues to provide a current and comprehensive introduction to all aspects of the biology and ecology of mangroves and seagrasses. 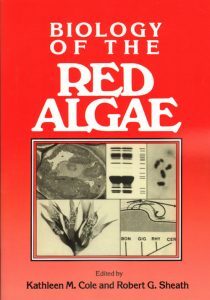 Using a global range of examples and case studies, it describes the unique adaptations of these plants to their exacting environments; the rich and diverse communities of organisms that depend on mangrove forests and seagrass meadows (including tree-climbing shrimps, synchronously flashing fireflies, and ‘gardening’ seacows); the links between mangrove, seagrass, and other habitats; and the evolution, biodiversity, and biogeography of mangroves and seagrasses. The economic value of mangroves and seagrasses is also discussed, including approaches to rational management of these vital resources and techniques for the restoration of degraded habitats. A final chapter, new to this edition, examines the potential effects of global climate change including sea level rise. As with other titles in the Biology of Habitats Series, particular emphasis is placed on the organisms that dominate these fascinating aquatic ecosystems although pollution, conservation, and experimental aspects are also considered. This accessible textbook assumes no previous knowledge of mangrove or seagrass ecology and is intended for senior undergraduate and graduate students, as well as professional ecologists, conservation practitioners, and resource managers. Also available in paperback. As with other titles in the Biology of Habitats Series, particular emphasis is placed on the organisms that dominate these fascinating aquatic ecosystems although pollution, conservation, and experimental aspects are also considered. 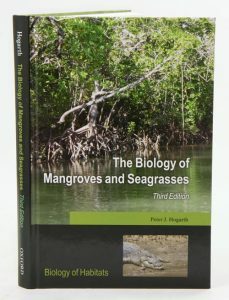 This accessible textbook assumes no previous knowledge of mangrove or seagrass ecology and is intended for senior undergraduate and graduate students, as well as professional ecologists, conservation practitioners, and resource managers. Also available in hardcover, Stock ID . Artist/Author: Waycott, Michelle, Kathryn McMahon, and Paul Lavery. Describes the exceptionally diverse seagrasses in the temperate parts of the southern hemisphere. 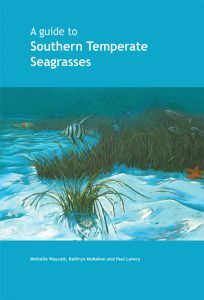 Introduces readers to the evolution, biology and ecology of the southern temperate seagrasses and presents a visual key to allow species identification using easily recognisable features. Detailed species accounts provide information on the distinctive features of each species or ‘complex’, with brief notes about their taxonomy, reproduction and ecology. 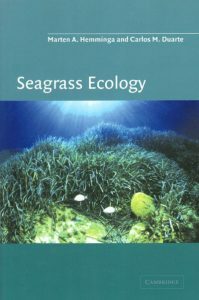 With information provided in a highly concise format, the book allows readers to rapidly identify a particular seagrass as well as other species that it may easily be confused with, confirm that the species occurs in a certain area, and access general information on the biology and ecology of the species. OUT OF PRINT. REPRINT UNDER CONSIDERATION. 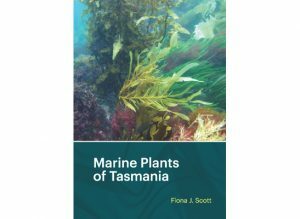 This book is the first complete guide to what is known of the uses, cultivation and worldwide availability of edible and other commercially important aquatic plants other than seaweeds, which already have an extensive literature of their own. 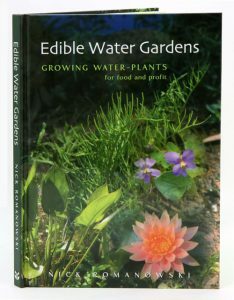 Whether you are a backyard grower or a botanist, a student of horticulture, or of aquaculture, or of agriculture, you will find many ways to make use of the rich lode of information brought together in this book. Artist/Author: Hemminga, Marten A. and Carlos M. Duarte. This title is not held in stock but we are happy to supply on special order. Please contact us. Seagrasses occur in coastal zones throughout the world, in the part of the marine habitat that is most heavily influenced by humans. Decisions about coastal management therefore often involve seagrasses, but despite a growing awareness of the importance of these plants, a full appreciation of their role in coastal ecosystems has yet to be reached. This book provides an entry point for those wishing to learn about their ecology, and gives a broad overview of the state of knowledge, including progress in research and research foci, complemented by extensive literature references to guide the reader to more detailed studies. It will be valuable to students of marine biology wishing to specialize in this area and also to established researchers wanting to enter the field. In addition, it will provide an excellent reference for those involved in the management and conservation of coastal areas that harbour seagrasses. Artist/Author: Sainty, G. R. and S. W. L. Jacobs. This new fourth edition contains new chapters on ‘Classification of Australian Wetlands’, Charophytes’,’ Willows’ and Wetlands for stormwater management: water vegetation and mosquitoes—a recipe for concern’. 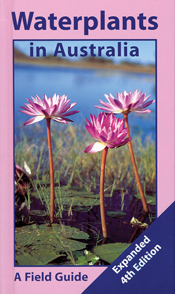 This pocketbook was first published in 1987 to tell you more about some common wetland plants in Australia. This fourth edition now has 150 water plants. They include introduced weeds, potential weeds, common native species, native species with potential for planting in artificial wetlands, and a few species requiring protection.